Stocking stuffers type gifts are one of my favorites things to give and receive throughout the holiday season, plus they are the perfect thing to give friends and family members and these little gifts are sure to put a smile on anyone’s face. Even though stocking stuffers tend to be small items there is no reason they can’t be fun, special, or cute. Here’s where to shop for the above stocking stuffers. Click on the name of the item to be directed to the website. That plaid scarf is perfect. 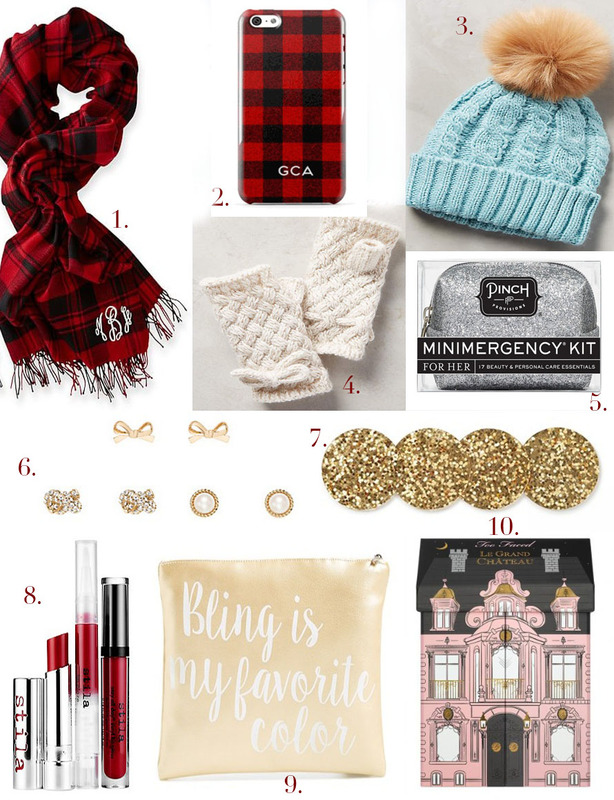 I love anything plaid :) Thanks for sharing these stocking stuffers with us! I love anything plaid as well - especially during the winter months! Thank you! I am happy to see you enjoyed this gift guide! I love almost anything monogrammed!